Peak Sensors manufacture many thermocouples for the Glass Industry. We supply directly to glass plants, glass furnace contractors and glass furnace manufacturers. 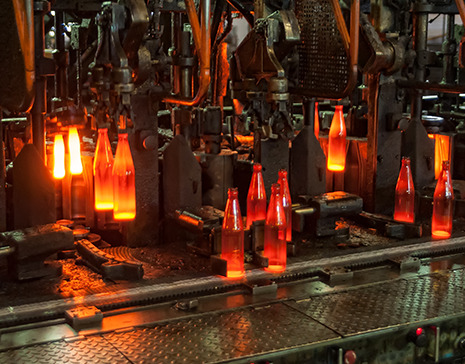 Our sensors are used throughout the glass manufacturing process, including melting, refining or working end processes. As temperature control experts, we know how important it is to measure the temperature of glass accurately during the manufacturing process. A satisfactory standard of product can only be achieved with adequate temperature control. We’ve made glass industry thermocouples for over 20 years and today we are considered the best choice for custom built temperature sensors in the UK. We continue to apply our expertise and invest in the latest technology to provide our customers with the highest quality temperature sensors available.